Step 1: Find the perfect color or print of the paper you’re using. Grab some tape, scissors, and ribbon. Step 2 : Get your gift , preferably in a box of some sort. 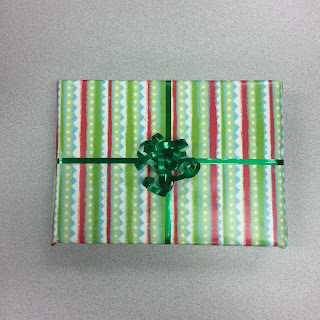 Lay the wrapping paper on a flat surface and place your item on it. Step 3: Tape the open side of the box down, evenly in the middle. 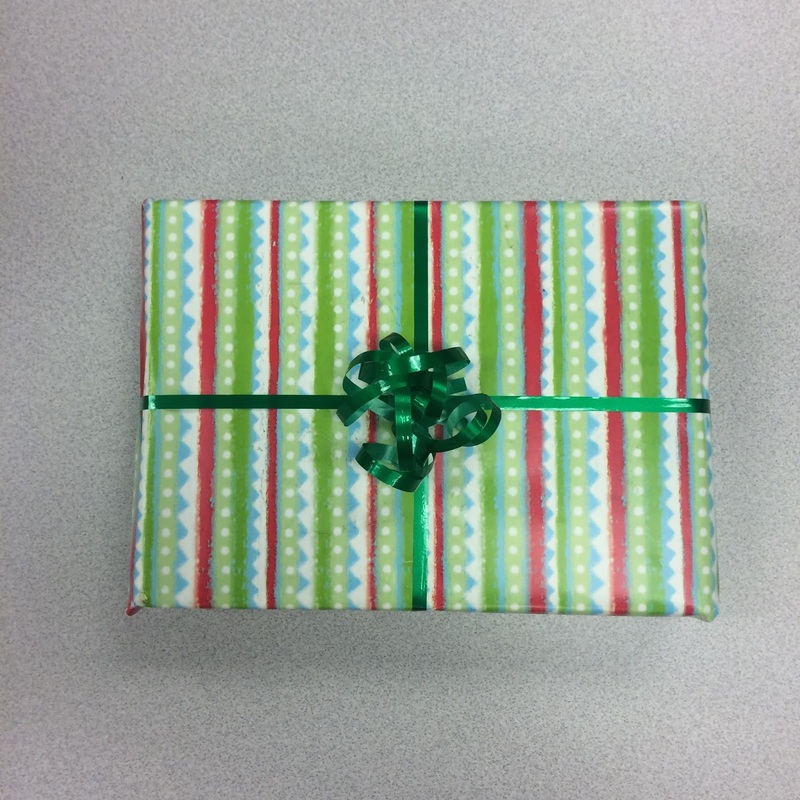 Step 4 : Then, cut the other side of the paper to evenly meet the piece taped in the middle of the box. Tape it down after cut. Step 5: After the paper is fully disconnected from the roll, trim the sides as much needed. Push the sides in like in the picture. Step 6 : fold the edges into crisp triangles and fold the bottom up first, then the top. Secure with tape and repeat on the other side.